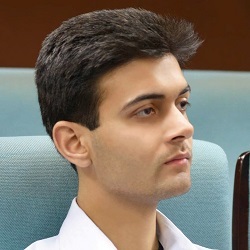 Aged just 23 yet Ali Ashraf has already worked as a CTO for two multinational startups, being invited to speak at two Google DevFests and currently serves as the Chief Innovation Officer of an AI + deep learning firm. Ali started his technology-driven journey when he was just a 13-year-old teenager who developed applications for Windows XP. To further substantiate his interest towards software development, he opted for a major in Software Engineering from Bahria University, Islamabad. From then on, he ventured into entrepreneurship by helping build a number of startups and other upcoming projects. However, he talks about the challenges he has had to face in comparison to other countries which includes firstly, the inability to accurately measure the impact of your product launch in such a vulnerable environment and secondly, the risk and opportunity cost one has to bear as there are only limited resources available. In his first major role in 2015, he was headhunted to become the Chief Technology Officer of LEMNation Pvt. Ltd., a multi-cultural VC-funded live video streaming company that is currently operational in five countries, where he was responsible for creating their R&D right from the beginning and also formulating a competent team that would look after its mapping, agile development prospects etc. 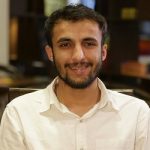 Furthermore, he has also led the launch of Extreme Air Combat which is a fast-paced simulation game that is still available on the Playstore and has acquired nearly 40,000 downloads till this point as it provides user a different kind of gaming experience at their favorite hometowns like Islamabad, Dubai etc. Having worked since last year, his current role as a Chief Innovation Officer at BurqStream Technologies requires him to conceptualize such unique ideas that would make full utilization of state-of-the-art technologies and convert this extensive research into a more consumer-friendly environment that is applicable for all kinds of users. 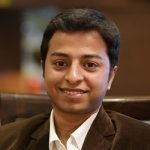 To his advantage, his company doesn’t work in a single domain which allows him to explore multiple fields that further increase his overall expertise.